Putting left hand low is awesome and will save you a lot of strokes, but you have to make sure you're setup correctly first. A poor setup will lead to just as many missed putts as putting conventional, so that's why I created this golf instruction video. The first thing to start with is ball position. As I cover in the video, the ball position is critical for both the quality of the strike and the quality of the roll. The ball needs to technically be launched slightly into the air rather than being pounded down into the ground, so the ball position is very important. This left hand low ball position also sets you up to get a better look at the line the putt is going to roll on. As I talked about in the visualization video, you need to be able to accurately see the line you want the ball to roll on. This helps complete the picture for your brain so that it can best perform the task you are asking of it. If you can't see the line, how do you know where you want the ball to roll? Setting up to your putt as I prescribe in this video both helps get the ball rolling correctly and helps you better see the line, a win-win for your putting and shooting lower scores! 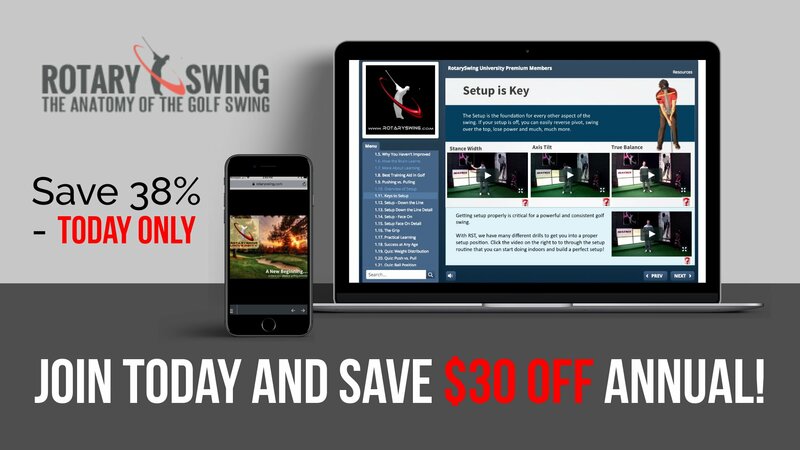 Get Your Free Membership to Finish Watching "Putting Setup" Right Now!